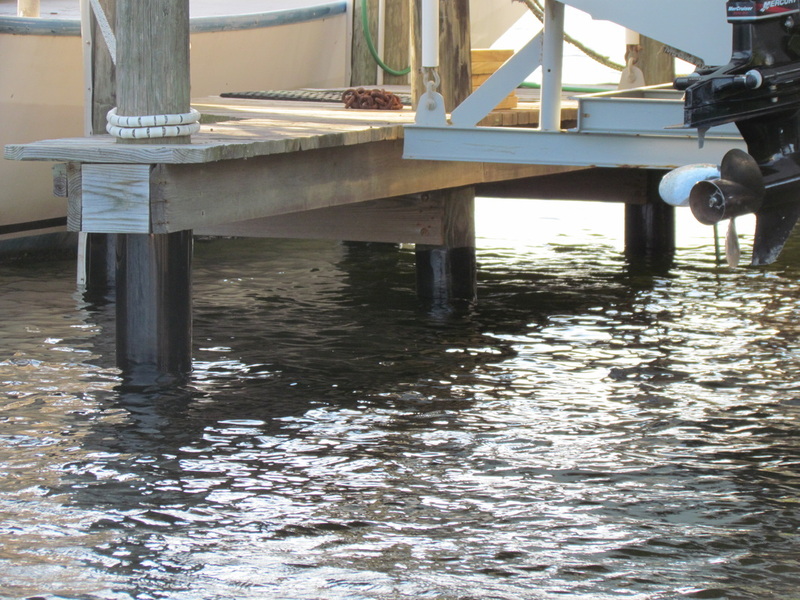 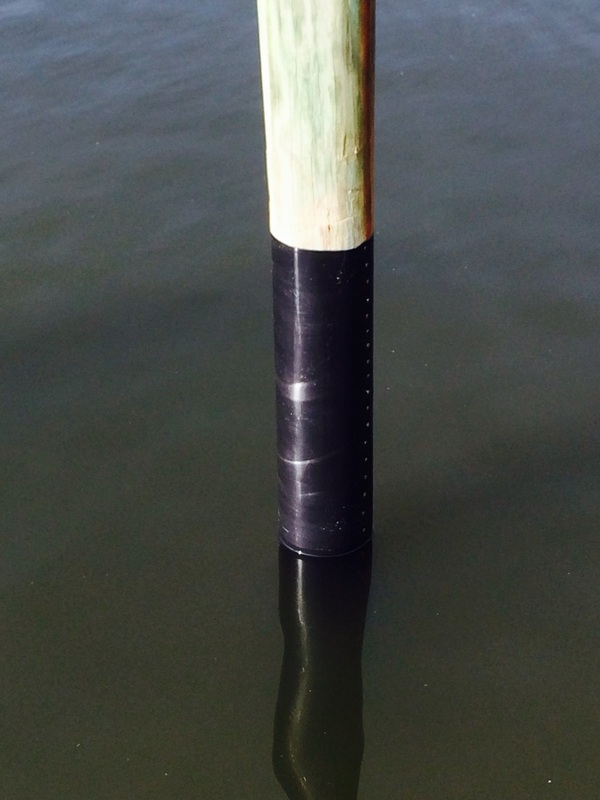 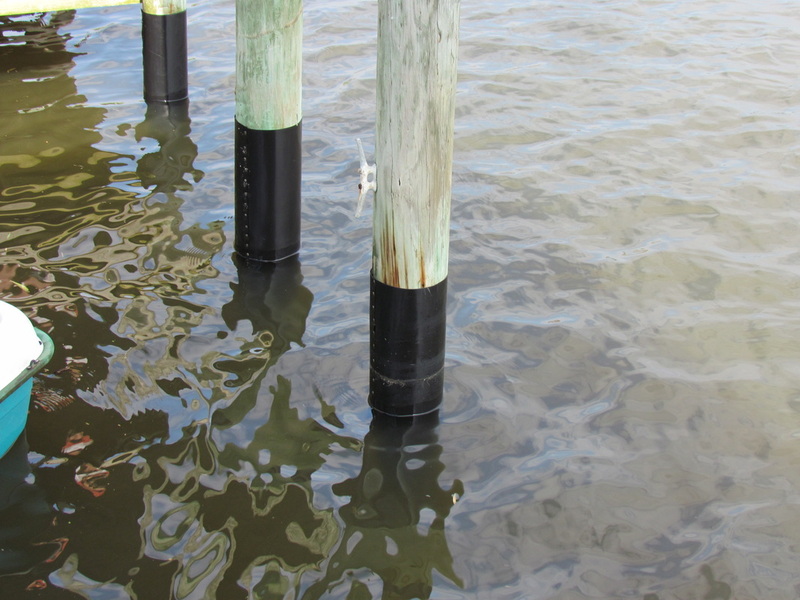 Are your marine dock pilings showing signs of damage from years of wood boring worms? Do you know how to identify damage from marine wood borers? If you are showing any signs of piling damage, outside of expensive pier replacement, dock piling repair is likely your only option. 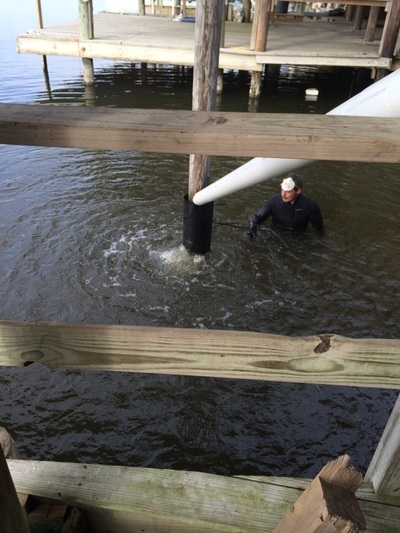 Deep South Marine Restoration centrally located in Slidell, Louisiana can repair those damaged pilings like new with our state of the art piling wrapping system. 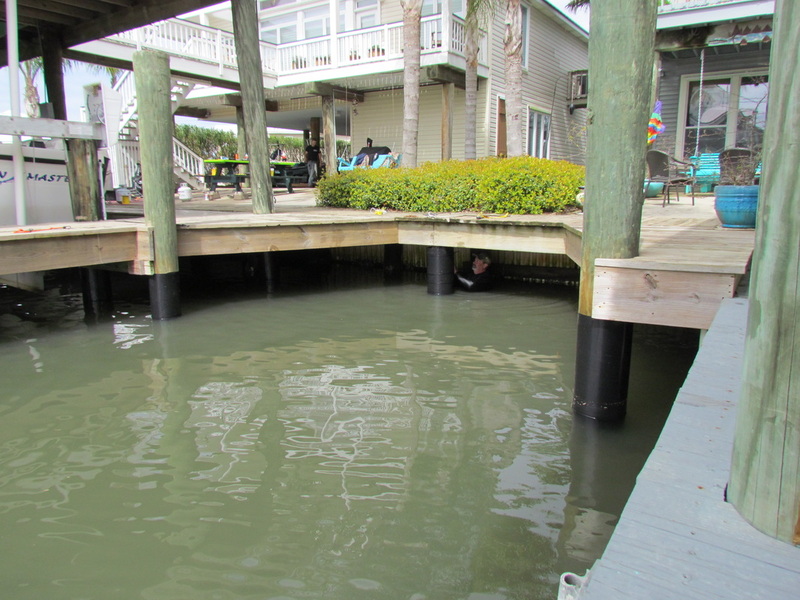 We offer full installation of dock piling wraps, dock piling covers, and piling concrete reinforcement throughout New Orleans and Baton Rouge and across Louisiana, Mississippi, Alabama, Texas, and Florida. 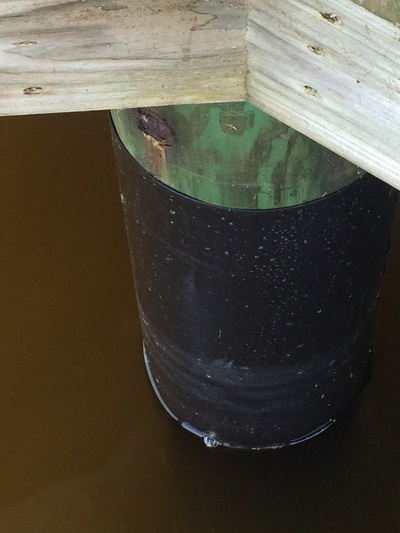 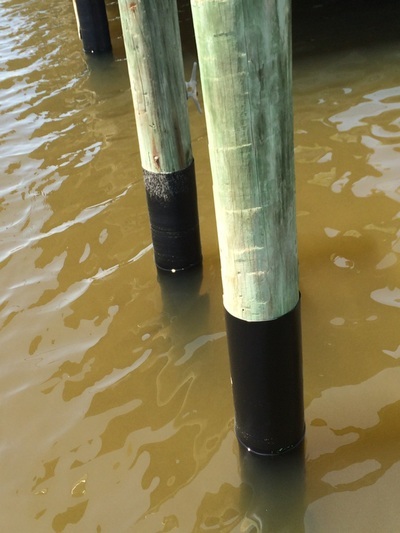 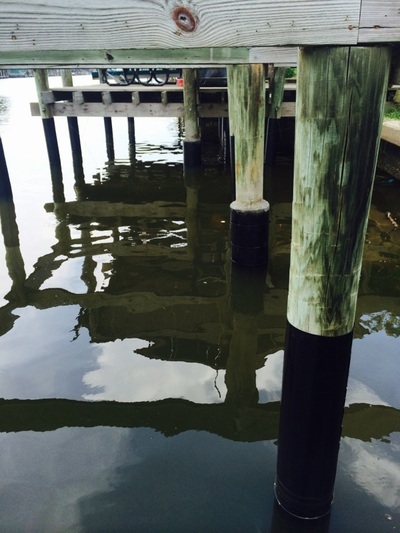 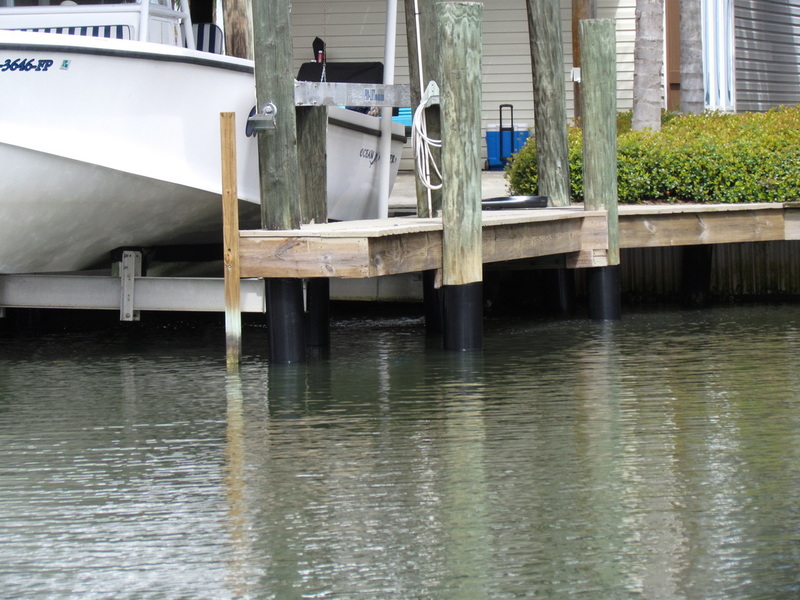 CONCERNED YOU HAVE MARINE WOOD BORER DAMAGE TO YOUR PILINGS? 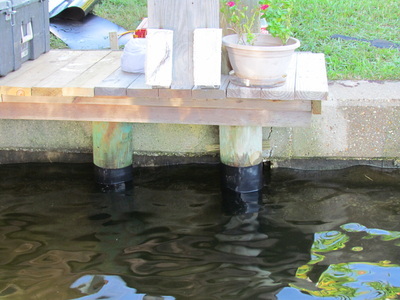 ​GET A FREE DOCK INSPECTION TODAY! 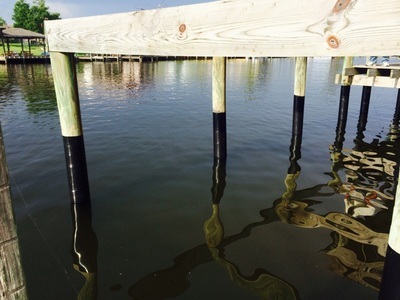 ​First, we'll clean and scrape any existing debris. Next, an inner barrier will be wrapped around the pile and covered with a specially produced PVC jacket to stop water from penetrating the wood piling. The lack of oxygenated water will starve any existing worms and free your piles of further damage. ​This wrapping and protection is perfect also for boat dock repair or bulkhead repair. 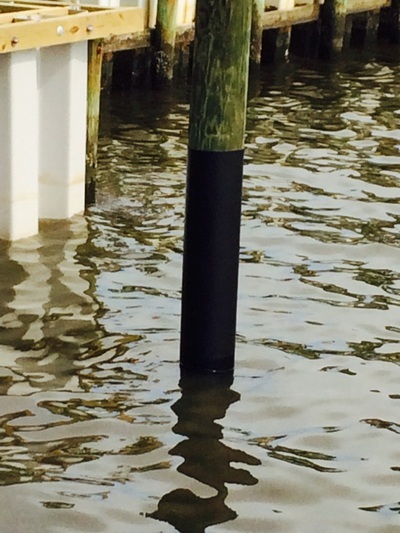 See below for examples of our Dock Piling Wraps.